The recordings that I post here on Gems are, as frequent visitors know, ripped from the original vinyl or shellac. I try not to fool with the sound beyond getting rid of the most egregious pops and clicks. That's not to say that the sound is funky on these offerings – quite the opposite. If you've availed yourself of any of them, I think you'll agree they pass muster sonically. That said, this latest upload is an exception. 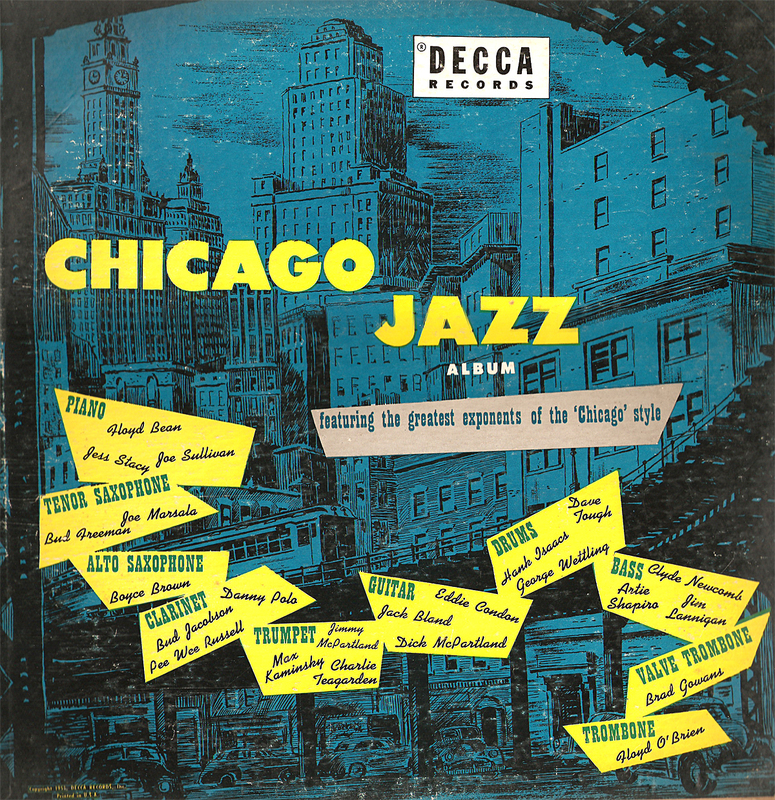 "Chicago Jazz," an LP issued from 78 rpm discs that were released by Decca in April 1940, attempts to recreate jazz from the post-King Oliver period when a bunch of high school kids – white kids – adapted Papa Joe's New Orleans-style jazz to their own purposes. Called the Austin High Gang, these roustabouts adored the two-beat ensemble style that was played at the Lincoln Gardens on Chicago's South Side. They were truants with a single purpose – to play music like the King and his protege, Louis Armstrong. 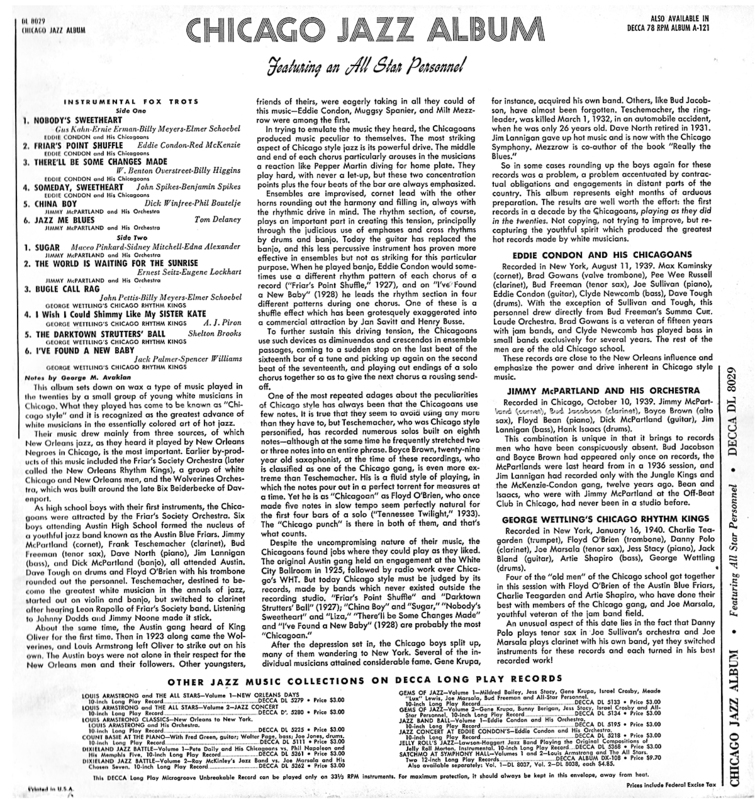 By 1939, the Chicago style of jazz propagated by the Austin High crew was old hat, yesterday's news. But a young producer and jazz fan, George Avakian, felt that contemporary audiences needed to hear it in all its glory. So he organized a series of sessions for the Decca label specifically to recreate its hoary style. His efforts not only resulted in a fine series of jazz recordings, they also sparked a minor revolution in the jazz industry. 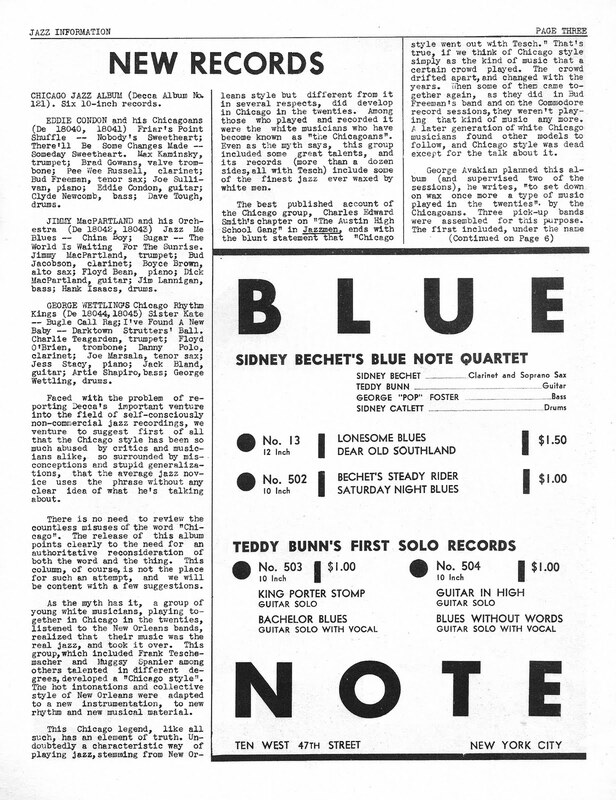 Seeing that there was a burgeoning market for classic jazz styles and historic recordings, Columbia, Victor and other record companies began reissue programs. Soon discs that long unavailable – fabulous sides by Armstrong, Oliver, Ellington, Jellyroll Morton and countless others – could again be found in local record stores. 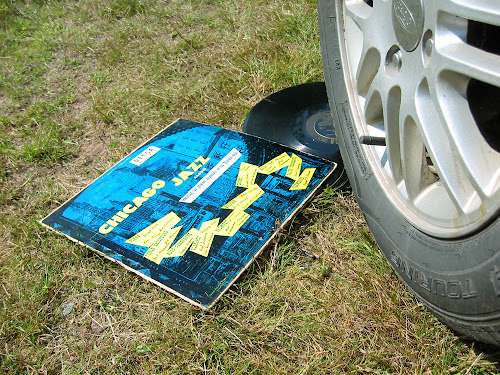 This is the record album (or at least the LP version) that started it all. And as such, it's a natural candidate for a Gems posting. Trouble is, the LP is in horrible – and I mean horrible – condition. It's something I would never have dreamed of uploading here. Until a bit of serendipity intervened, that is. 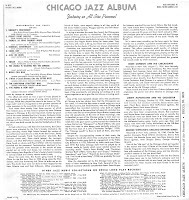 I recently acquired a nearly complete set of Jazz Information magazines. 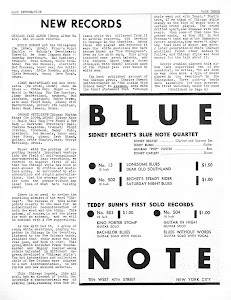 This publication was short-lived – around for only two years – but it is credited with being one of the first music publications to concern itself exclusively with jazz (Down Beat was more of a pop music rag at the time). 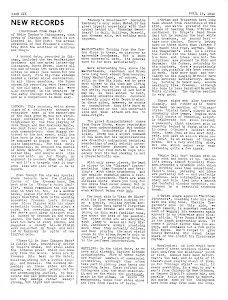 It is usually credited to Ralph J. Gleason, later the influential critic for the San Francisco Chronicle and jazz publications, but it really was the brainchild of one Eugene Williams (Gleason was relegated to an associate editor after half a dozen issues). Full personnels, dates are icluded in download. Lucky Thompson always had marvelous tone, a quality that made him instantly recognizable as a soloist. Could his reed's patented parallel tone grooves have been the secret? This ad from a 1957 edition of Jazz Today would have us believe it was so. Whatever the case, here's Lucky demonstrating that tone on Triumph 904, a side recorded in New York in 1950 with Pritchard Chessman and Shahib Shihab on reeds, Ray Copeland on trumpet, trombonist Ted Kelly and a rhythm section of Ed Swanston, Peck Morrison and Al Walker on piano, bass and drums. Its title is "Coolin' for Collins," a dedication by Lucky to a local DJ. As always, this music was ripped from the (srcatchy) original 78. ﻿The king of the alto saxophone played a King. So proclaims this ad from an old Metronome magazine. Of course, jazz fans know that Bird's horn was often a thing of the moment – if not a King, than any alto that was available, including – once in Toronto – a white plastic marching band horn. 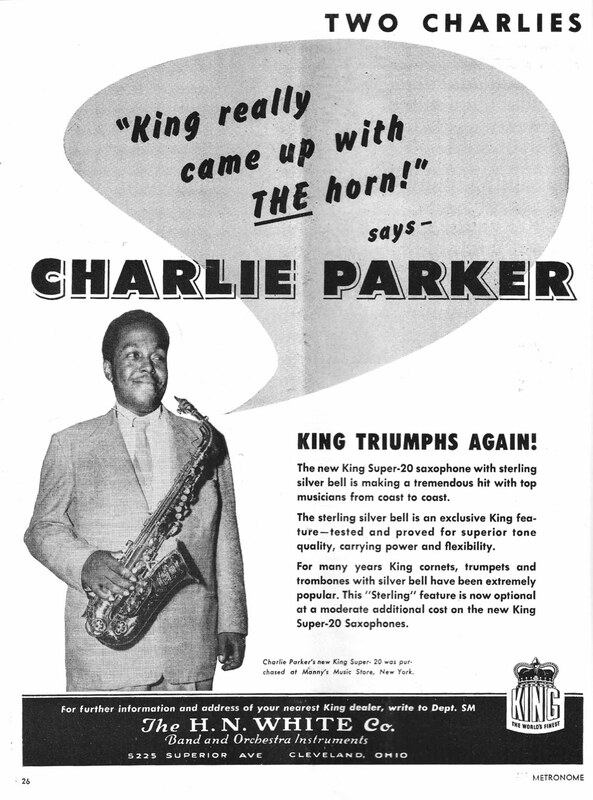 It didn't seem to matter what Charlie Parker used to play his music – the result was always the same. Genius. But Bird didn't always play alto. With Earl Hines in 1942 he held down the tenor chair. To disguise his sound for contractual reasons, he also played the bigger horn on a date with Miles Davis in 1953 for Prestige. And here's Bird at an unknown club date some fifteen months before his tragic passing, soloing on tenor. I never thought much of Zoot Sims in my early days of collecting, mostly because I'd never really heard him. There were no records available, or very few anyway. I was into Archie Shepp, Coltrane, Booker Ervin, Dolphy and Ornette – the avant garde. Their LPs were hard to find too, but Zoot was all but invisible when it came vinyl. In the early '70s anyway. But later on – much later on – I met and got to know some dedicated veterans of the jazz life, and to a man they all worshipped Mr. Sims. One in particular, a tenor player who had worked in Lionel Hampton's big band and maybe in Kenton's too, never went anywhere without his case of Zoot records. This guy – Milt Hissler was his name – never really lived anywhere, camping in hotels mostly, on the road constantly, everything he owned fitting into several neatly packed suitcases. But he took the trouble to have Sims with him always. A real testament. 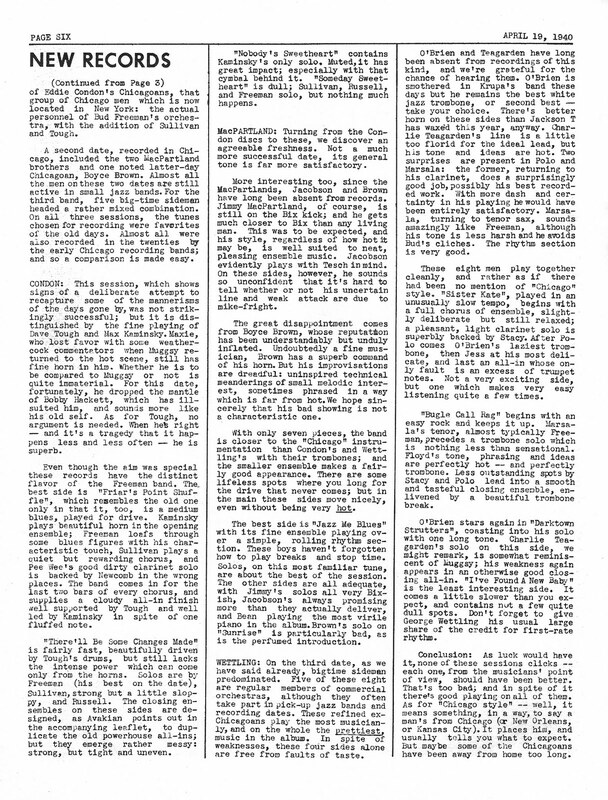 What inspired Zoot Sims' colleagues to hold him in such high regard? I suppose it was because of his selfless dedication to his art form, and to the unmatched quality and consistency of his work. A disciple of the President, Zoot was no "repeater pencil." His interpretation of Lester's laconic, endlessly inventive Kansas City choruses was his own. And because he was no enigma, more approachable than Lester could ever be, he attracted a following of those who would be like Basie's star soloist but who lacked the requisite talent (and that would be nearly everybody). 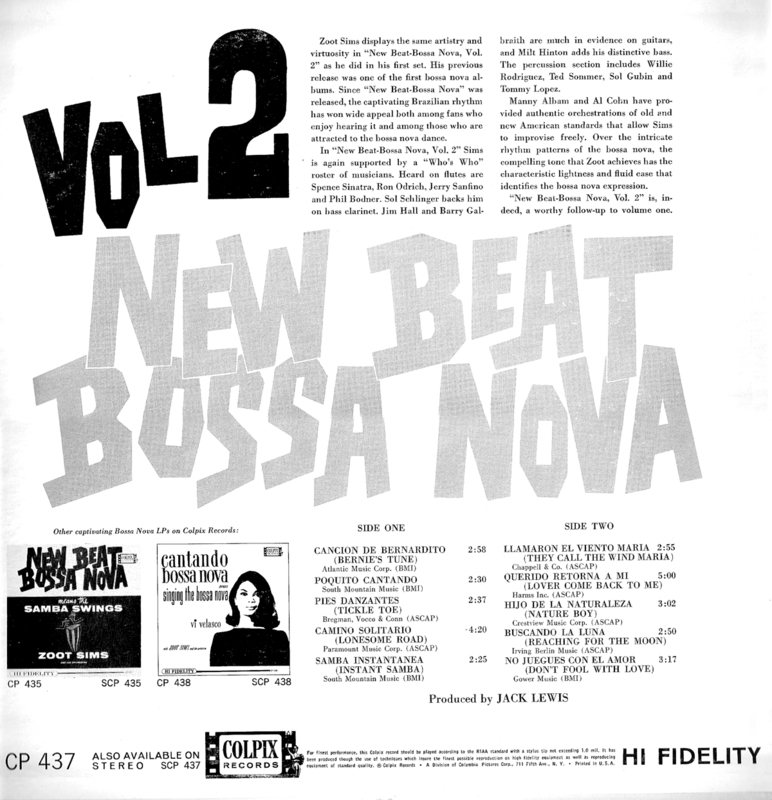 In the early '60s, an unknown kid named Paul Winter sold a lot of Columbia records with jazz in a style from Brazil called "bossa nova." Stan Getz picked up its cool, sophisticated slink and hit big on the pop charts with "Girl from Ipanema" in 1964. 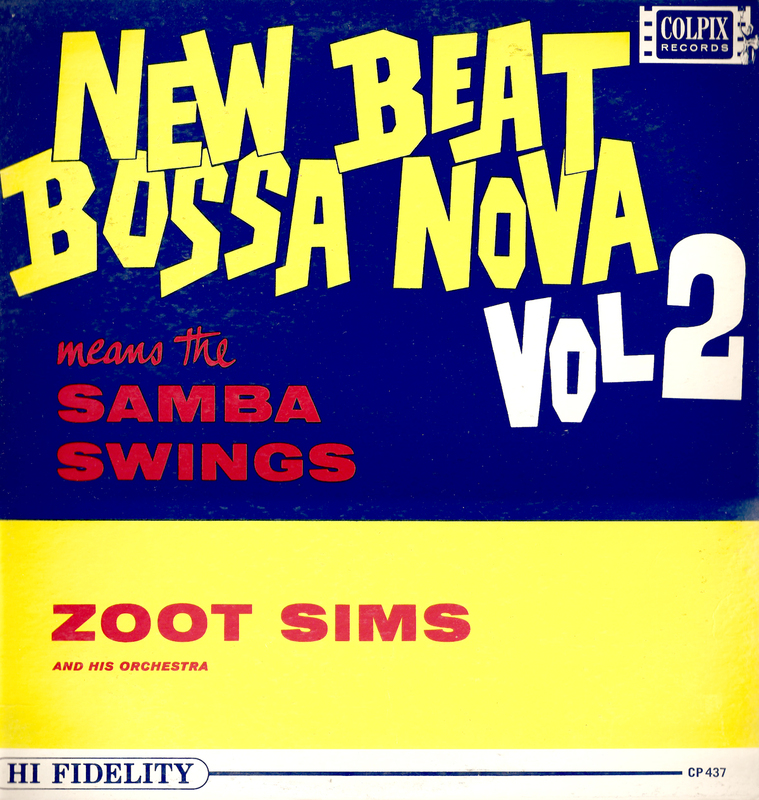 In between, Zoot Sims was enlisted in an effort to sell the "new beat" to jazz fans by a non-jazz label called Colpix. An imprint of Columbia Pictures, Colpix featured pop artists, many of whom worked for the parent company in movies or on TV. 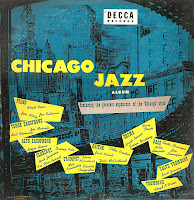 The label's jazz output, though often of high quality, was minimal, and sales may have suffered due to somewhat indifferent jacket graphics and liner notes. 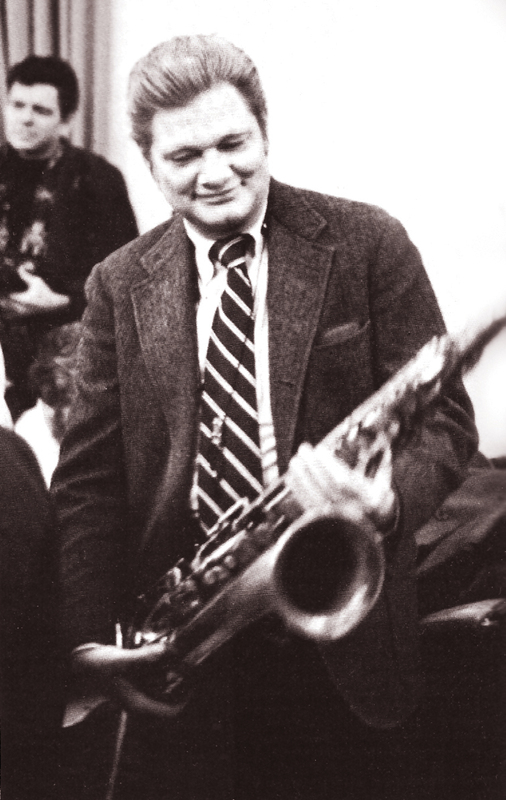 But in August of 1962, Colpix invested heavily in a session by Zoot Sims, and the results were excellent. Classic Zoot: melodic, flawlessly executed and swinging. Here are Vols. 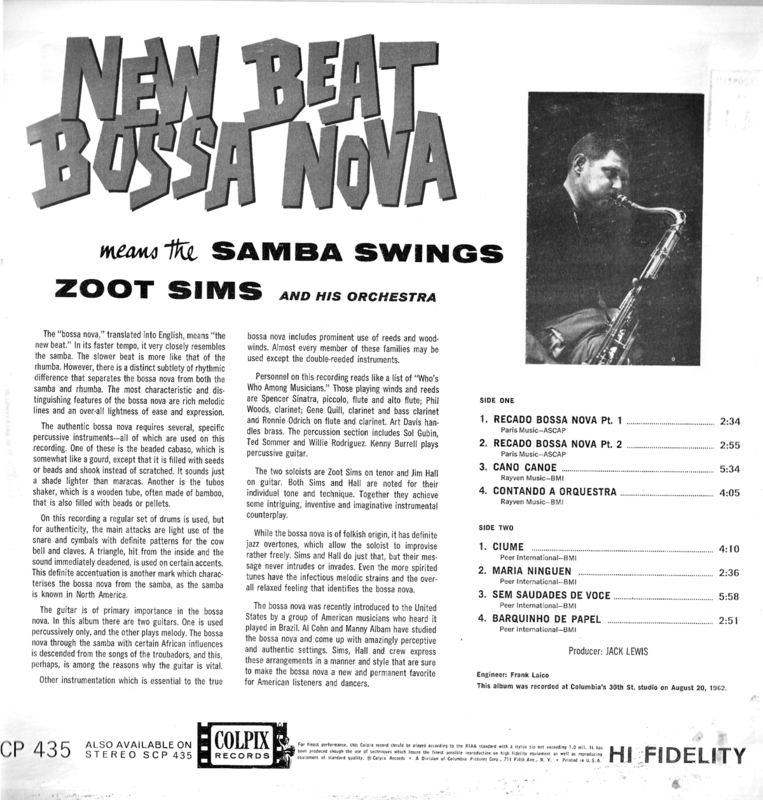 1 and 2 of "New Beat Bossa Nova," a Zoot Sims release featuring arrangements by Manny Albam and Al Cohn (Zoot's musical alter-ego). Guitarist Jim Hall isn't mentioned on the front covers, but he deserves second billing – the albums feature him as much as they do Zoot. 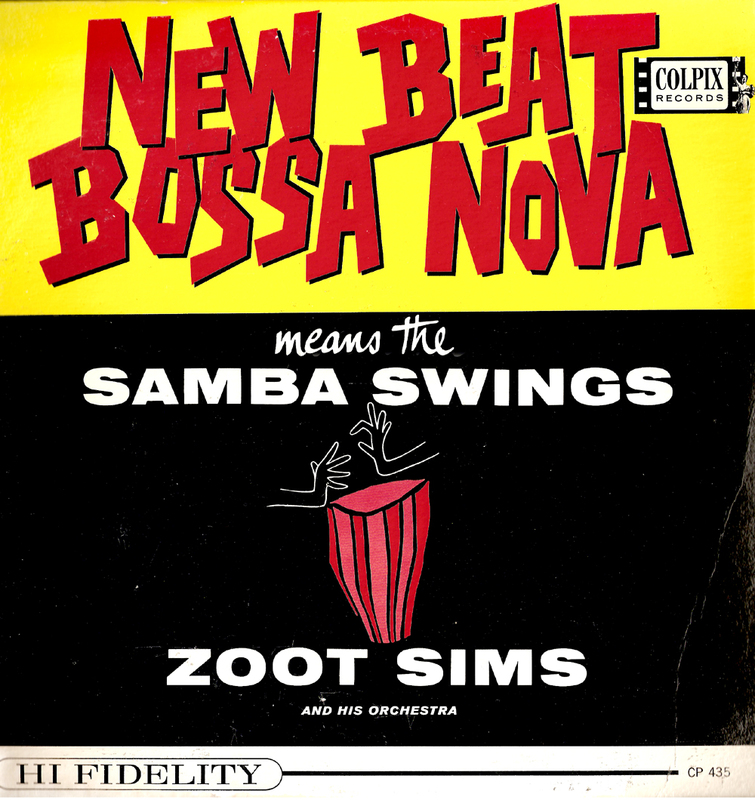 One LP consists of Brazilian originals, the other of familiar jazz and pop numbers given the samba treatment. Note that Zoot pays tribute to Lester with an unlikely bossa treatment of Prez's "Tickle Toe." As always, these tunes were ripped from the original LPs with no enhancement other than a light cleaning up of minor surface noise. Zoot Sims, ts; Jim Hall, g; Spencer Sinatra, pic, fl, al fl; Phil Woods, cl; Gene Quill, cl, b cl; Ronnie Odrich, fl, cl; Kenny Burrell, g; Art Davis, b; Sol Gubin, Ted Sommer, Willie Rodriguez, perc; Manny Albam, Al Cohn, arr. 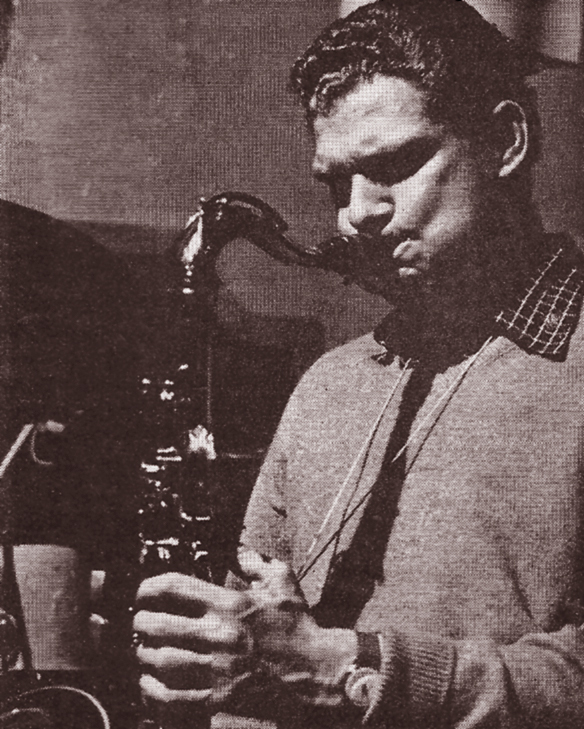 Zoot Sims, ts; Jim Hall, g; Jerry Sanfino, fl; Spencer Sinatra, pic, fl, al fl; Phil Bodner, fl; Sol Schlinger, b cl; Ronnie Odrich, fl, cl; Barry Galbraith, g; Milt Hinton, b; Sol Gubin, Ted Sommer, Willie Rodriguez, Tommy Lopez, perc; Manny Albam, Al Cohn, arr.